I just can’t believe that it’s September already and I haven’t posted for weeks. Where did the summer go? 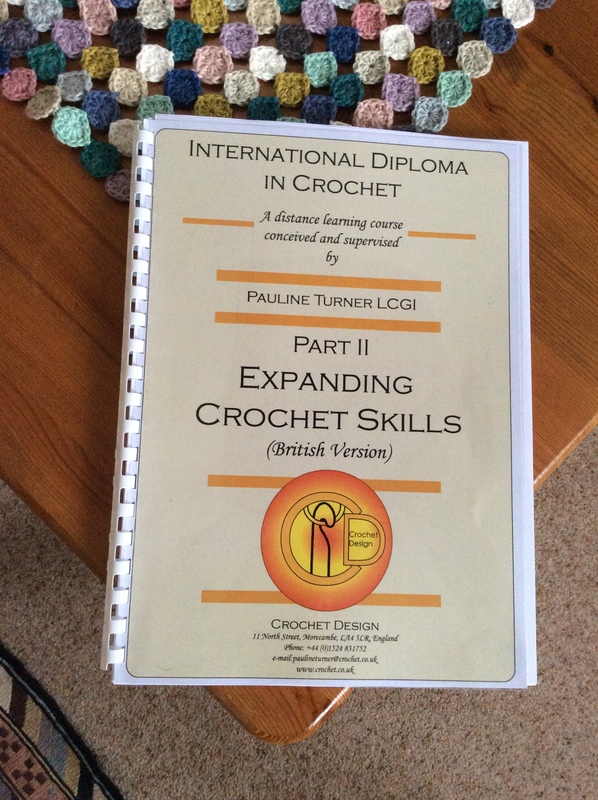 Well, the good news us that I passed Part I of my course, The International Diploma in Crochet. 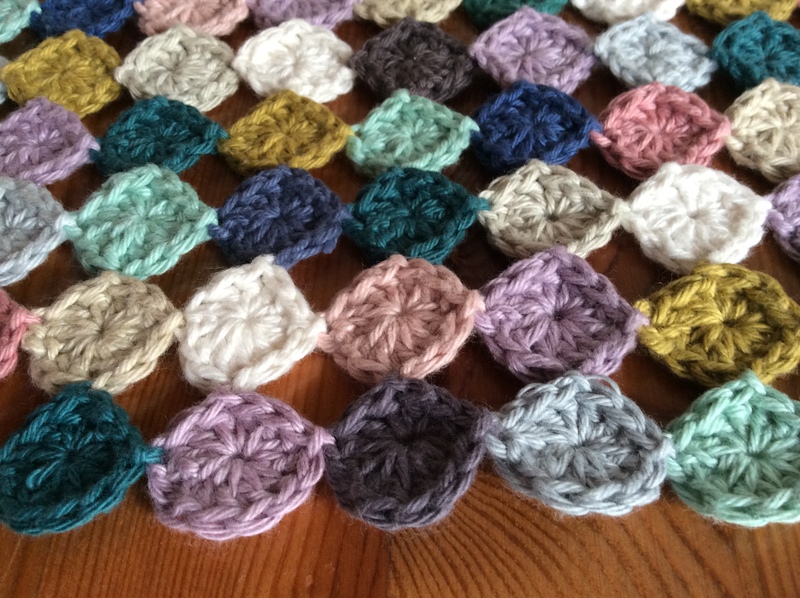 According to the course info I’m now properly qualified to teach crochet skills to my group of lovely ladies – can’t wait to start again in a couple of weeks and get them trying out more challenging techniques. 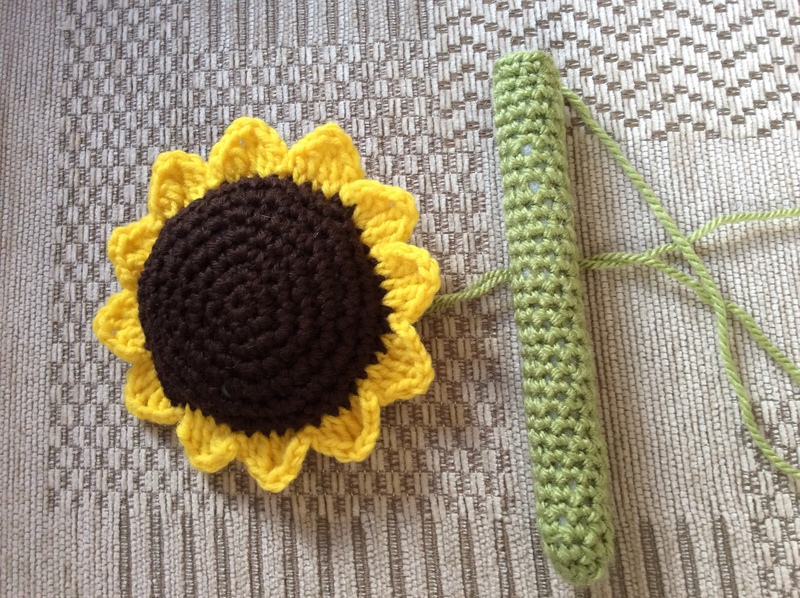 Broomstick and hyperbolic crochet have already been requested! Watch this space! 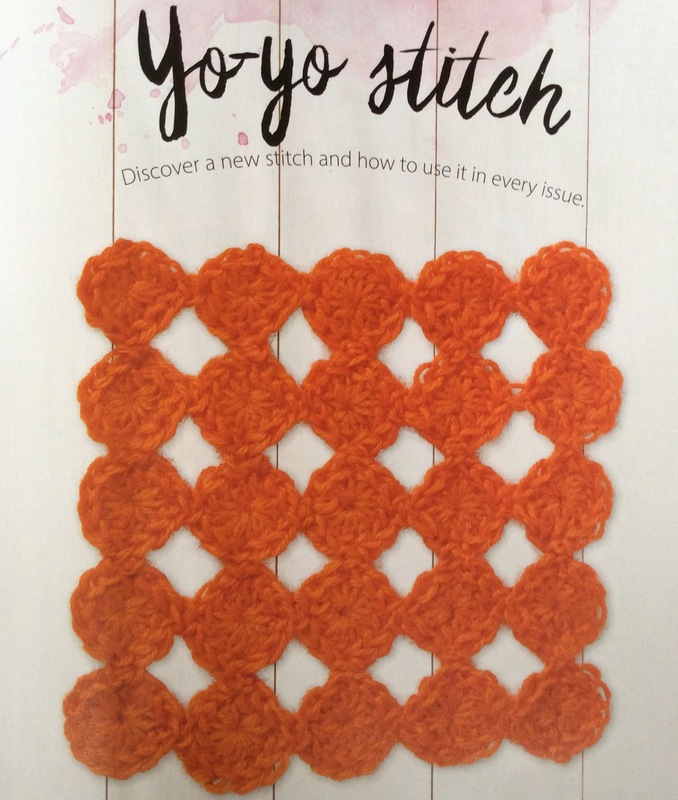 Apart from being away in France in July and August I’ve taken the opportunity to “weave” in a few loose ends over the past month or so …. and believe me there have been many of those, both literally and figuratively speaking. 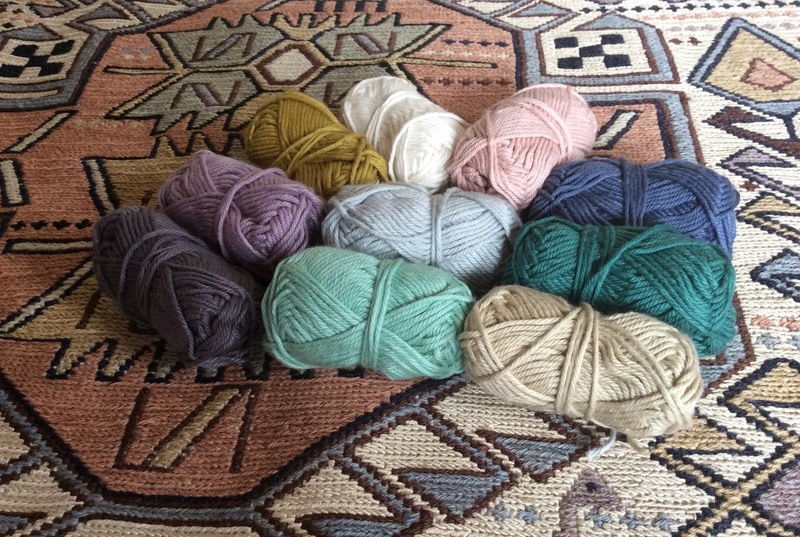 Some time ago I started a table runner using the beautiful stonewashed colours of a pack of Stof and Stil Scandinavian yarn given to me last winter and which match the rug in our living room …. Well, that’s finished. Worked in the yo-yo stitch it was fiddly but great to transport on our travels. 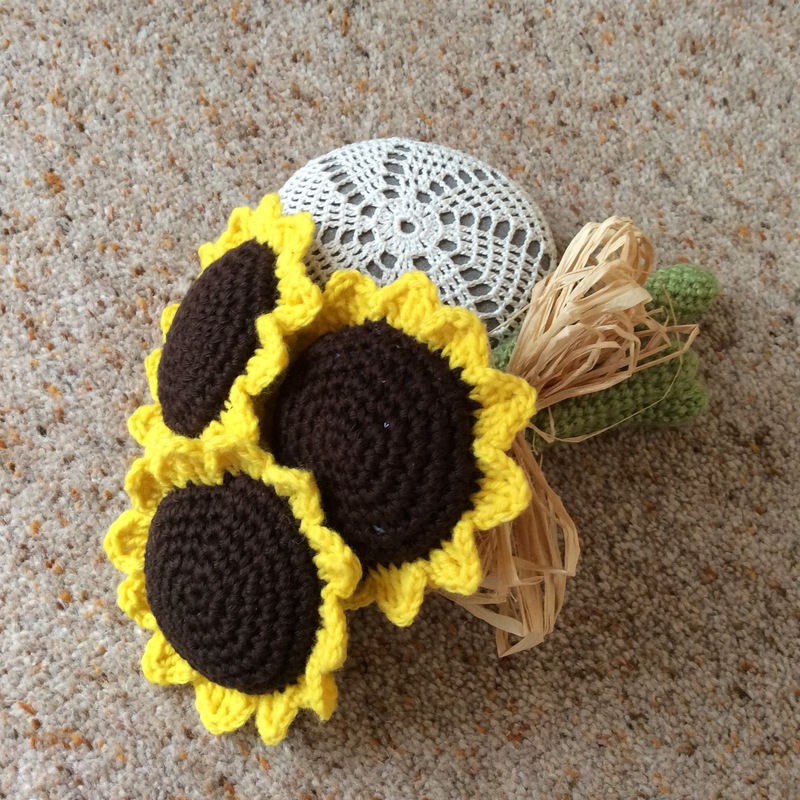 I also made some sunflowers for my granddaughters who took part in the musical Singing in the Rain just before our visit to France. 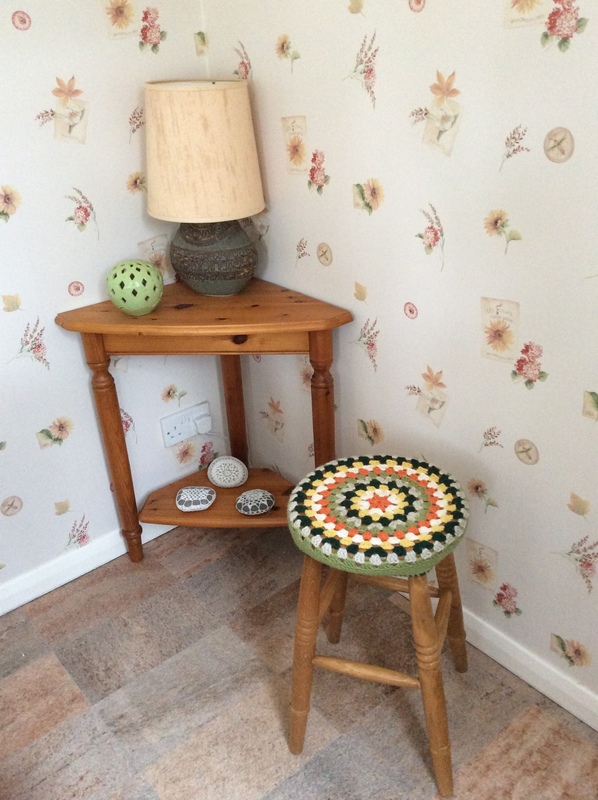 Fresh flowers are the usual gift at the end of a performance but are often drooping by the next morning so I opted for these……..
……….. a well written pattern by Krawka and easy to piece together. 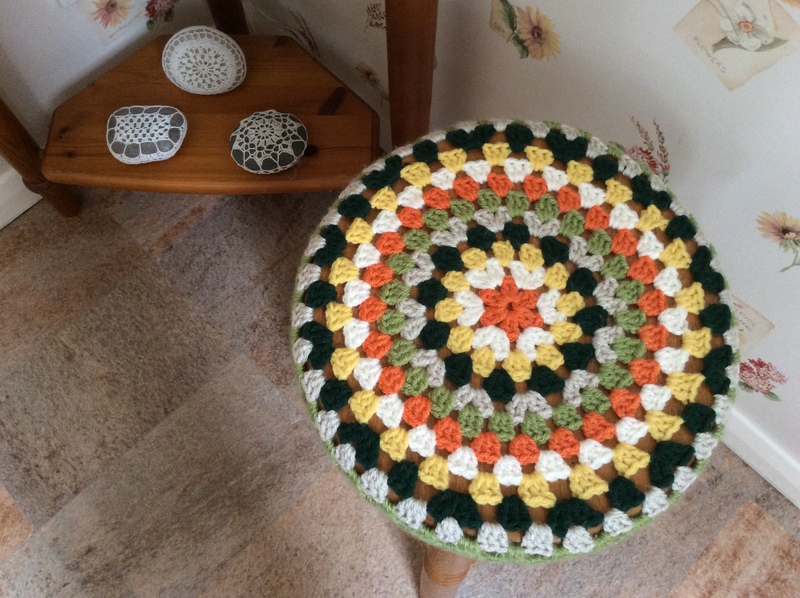 In preparation for exploring the techniques of working different shapes in the round I had a go at a granny circle stool cover – there was a certain amount of guesswork involved to reach the right size but the result looks fine. There won’t be so much time for projects like these over the coming months, I suspect. 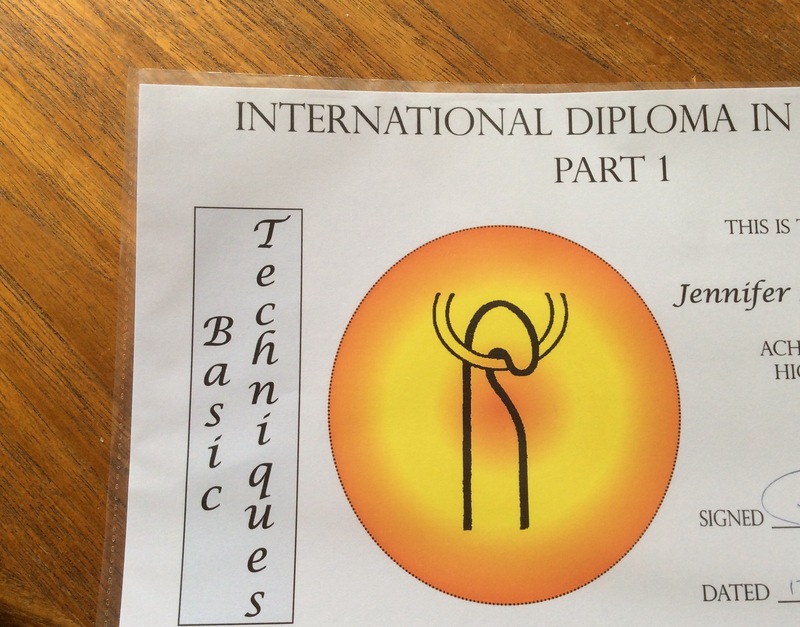 I have enrolled for Part II of the course….. brave or foolhardy? Time will tell. My coursework has arrived ….
. …exciting but a little scary as there is a greater design element to this part and design is not my strong point. I’ll let you know how it goes! 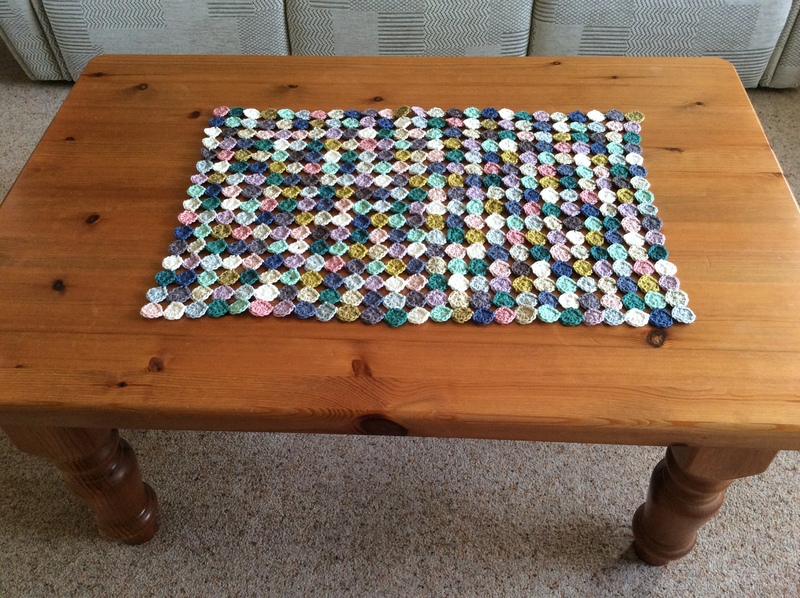 I hope you’ve all had a good summer and found time for some craftwork.